I'm Back! Welcome to this week's Fiber Tuesdays Link Party! Sorry I missed you last week! Thank you Melissa, for picking up my slack last week! I hope you all will click on over to The Quilting Room with Mel to see who she features and thank her for keeping this awesome party going strong! 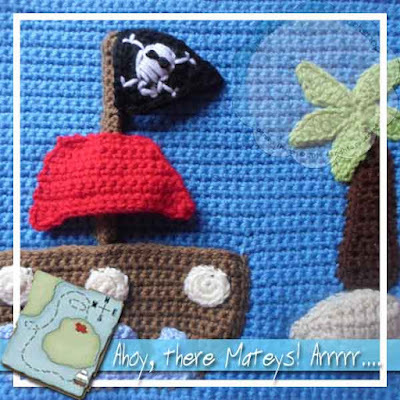 Creative Crochet Workshop for this fun Crochet Pirate Playbook CAL(part one).